How Do I Add MasterPass onto My Store? 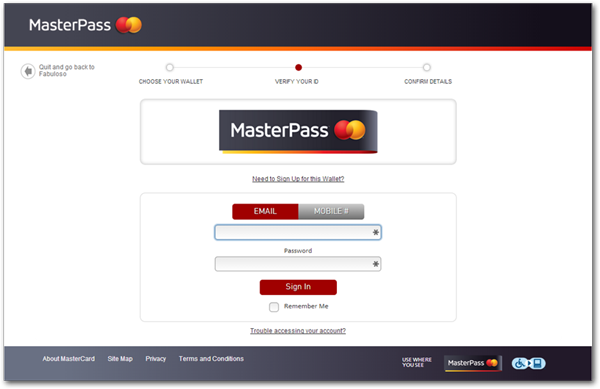 MasterPass, by MasterCard® is a free digital payment service for you and your customers. 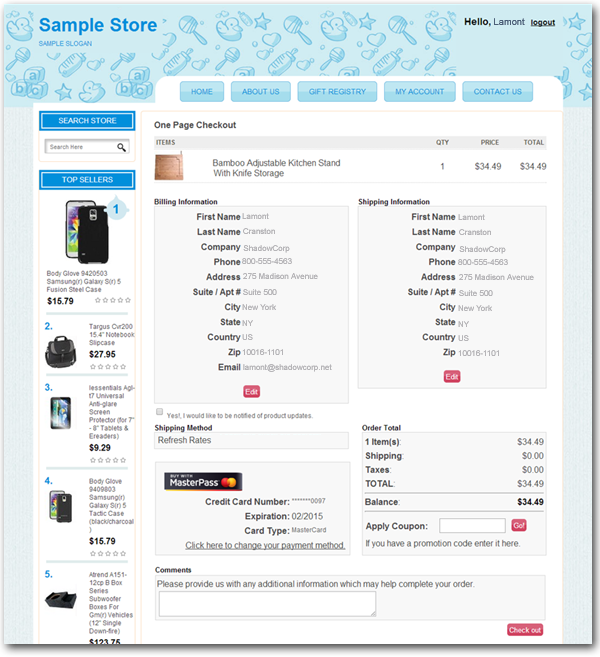 Faster checkouts for them, more sales for you! Your customers simply click the MasterPass button, and their payment and shipping info is automatically entered. Faster checkouts give you lower abandonment rates. Multi-tiered MasterPass security ensures that your customers are protected on every transaction. It’s as safe as it is convenient! 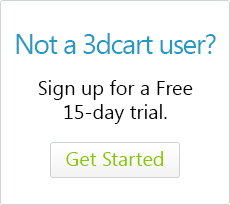 If you are interested in enrolling with the MasterPass service, the following article will show you how to integrate it onto your 3dcart store. Then click on "Change Settings"
After you've been approved for the MasterPass service, you can come back to the modules page to activate the module and configure the cards that will be accepted when it is used. 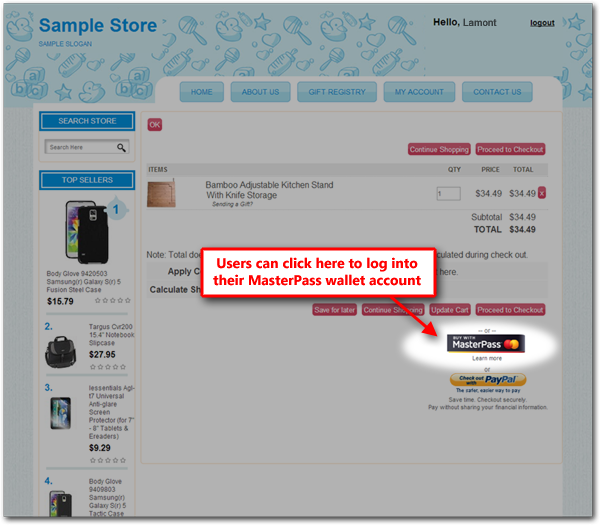 Once activated, your store will display a MasterPass icon on your store's checkout pages. As your shoppers come to your store and purchase items, they will be taken to the View Cart page where they will see the MasterPass button. 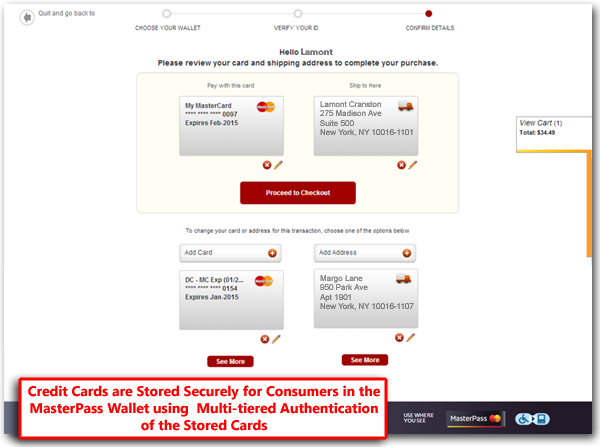 The shopper will then be taken to the MasterPass login screens where they will log into their digital wallet account. ...which will taken them back to your store's checkout page complete with their billing and shipping information ported through!